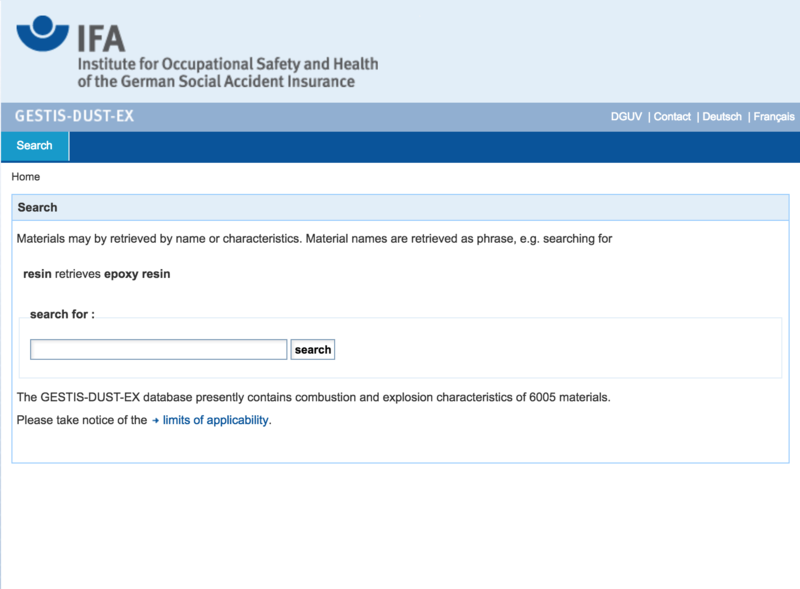 A really helpful online database search for dust explosion combustion and characteristics of different materials is GESTIS-DUST-EX. GESTIS-DUST-EX contains information about combustion and the different characteristics currently of 6005 materials. We find this a highly informative and handy tool for this industry, and the website is very easy to use. Simply type in to the search bar the material you are looking to find information about, click search and then specify which form of the material best suits your enquiry. You will then be directed to a page that might tell you, for example, the particle size, combustible BZ or ignition temperature BAM. The data supplied on the site is updated and compiled very carefully, but as the data is derived from samples submitted for testing, the data has to be used with care, as the characteristics may not be exactly the same as the material you are dealing with. We are on hand to advise.